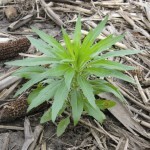 Although there are currently dozens of weeds that show some kind of resistance to herbicides, these five are the most troublesome. 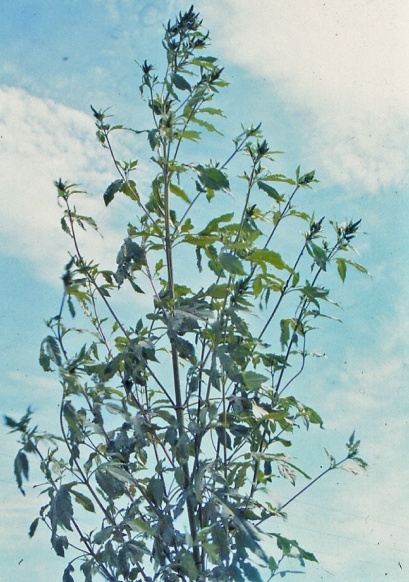 • One of 865 members of the pigweed family. 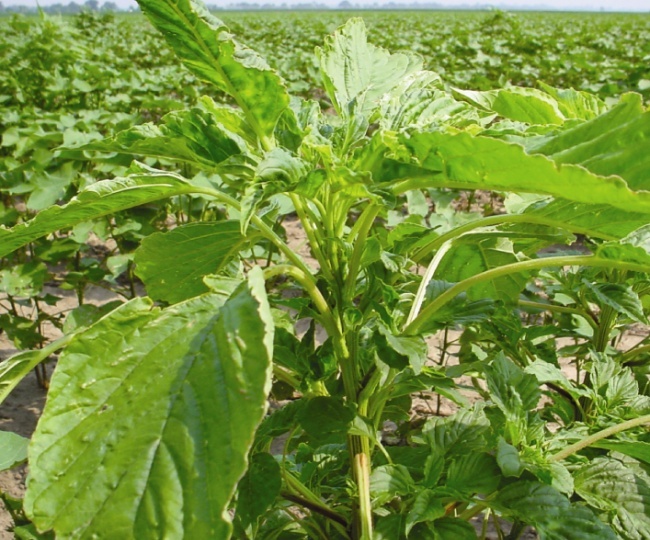 Grows faster and is more competitive than any other of the pigweed family. 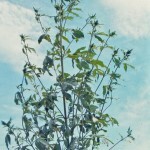 • Has male and female plants, allowing for greater genetic variability and adaptability. 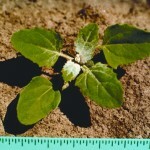 • Each plant can produce up to 1 million seeds. • Members of the pigweed family. 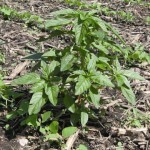 • Tall waterhemp has smooth, erect stem that can grow more than 8 feet tall. Male and female flowers found on separate plants. • Germinates over relatively long time period and grows rapidly. 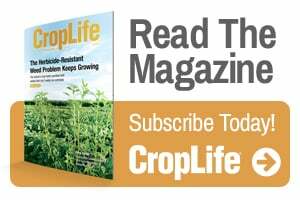 • Waxy, narrow leaves slows herbicide uptake. 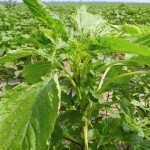 • Prolific seed producer (more than 250,000 seeds per plant). Seed can be dispersed over long distances, also is readily transported when equipment is moved from field to field. 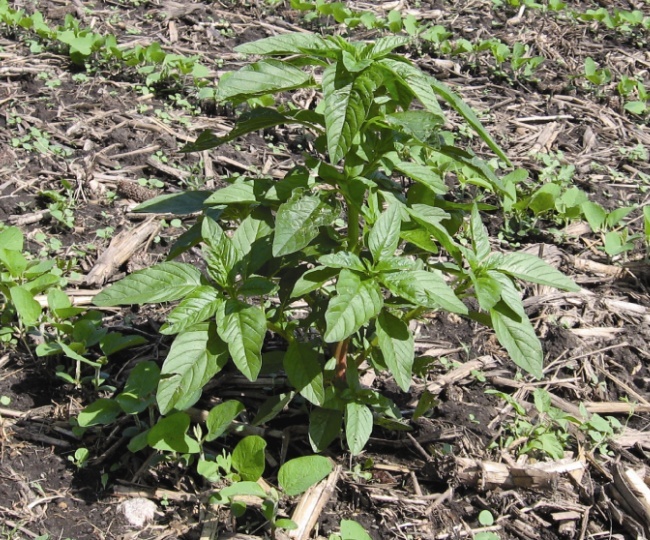 • One of the most common weeds in eastern and central parts of U.S.
• Well-adapted to no till-crop production; can quickly spread to many habitats along field edges and roadsides. • One of largest annuals, averages 5 feet in height, but can grow as large as 10 feet. • Can produce over 11,000 seeds per plant without competition. • In Midwest, can reduce corn yield up to 37%, soybean yield up to 52%. • Grows to more than 5 feet tall. • Can produce 150,000 seeds per plant. Seeds can germinate in soil for a number of seasons. • Highly competitive to plants. 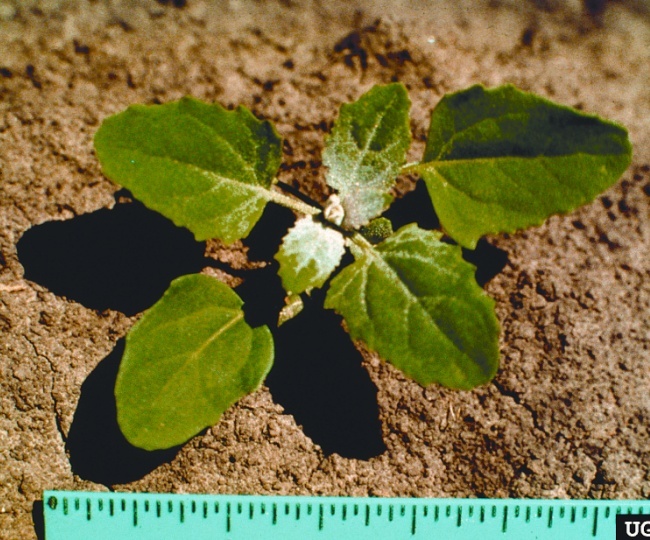 Just over 75 lambsquarters per square yard can reduce soybean yield by 50%. • Difficult to control with postemergence herbicides. 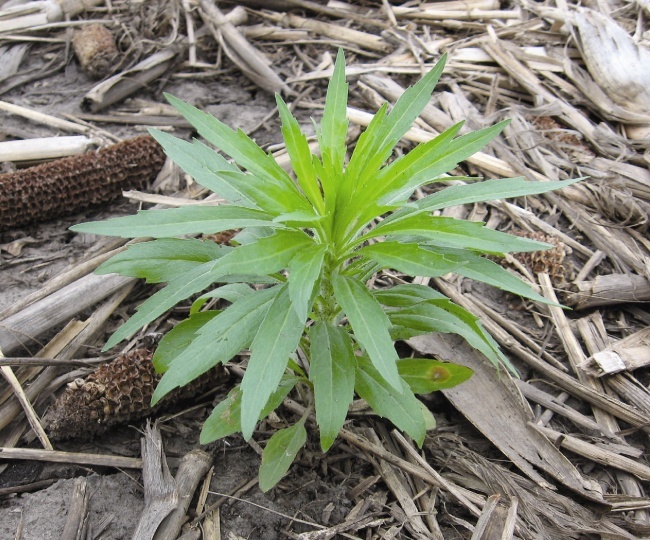 Wax on leaf surface slows herbicide movement into leaf and can affect subsequent control.